We provide access to quality healthcare, basic services, infrastructure, and medicine. We empower the most vulnerable women and children by sharing critical tools to lead healthier lives. We work in alignment with the larger global agenda on public health. We use results-based management to measure the effectiveness of our collective actions. The daily reality of life for children with disabilities and their families is frequently one of discrimination and exclusion, in all countries of the world. We find it unacceptable for any child to be treated differently because of an intellectual or physical impairment. With commitment, dignity, and love, all children must be allowed to reach their God-given potential. Raul is only 12, but the therapists at CMMB's Rehabilitation with Hope program in Trujillo, Peru nicknamed him “Old Man.” Raul laughs every time he hears it. When the therapy team first met Raul, he was curled into a ball. He couldn’t hold or grab anything. 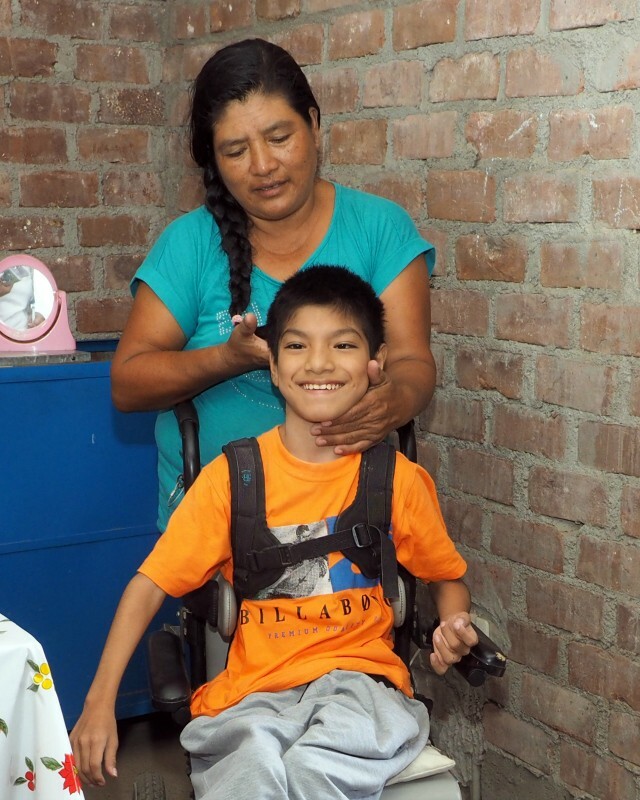 With commitment and persistence, Raul can now sit up, open his fists, and say a few words. Next step - to get him standing! As a critical player in health-system strengthening and women's and children's health, we publish articles and whitepapers on relevant topics in global health.